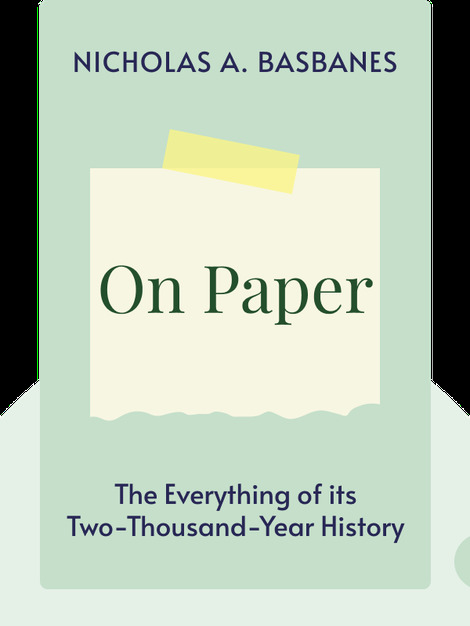 Paper: we use it so much we don’t realize how fundamental it is to our society. We don’t just record our thoughts on it, we base our currency on it, use it for entertainment and employ it for hygiene. These blinks of On Paper (2013) outline the history of this simple but amazing tool. 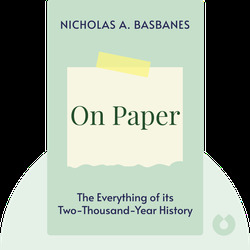 Nicholas Basbanes is a former literary editor of the Worcester Sunday Telegram. He’s written several books, including A Gentle Madness: Bibliophiles, Bibliomanes, and the Eternal Passion for Books, and his work has been featured in the New York Times and the Los Angeles Times.